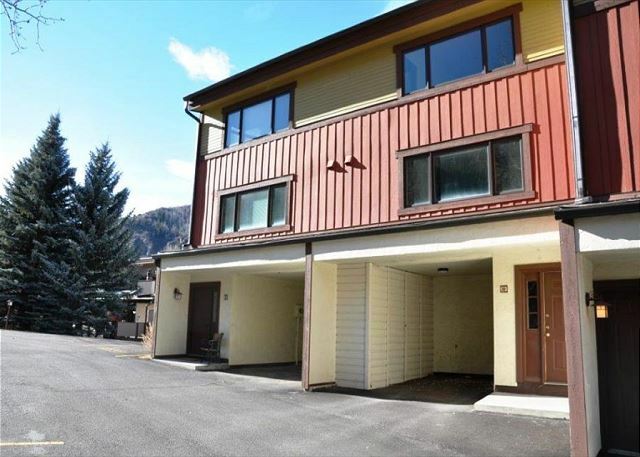 Managed by Gore Creek Properties, this lovely Remodeled gold rated Townhome has 1800 square feet of living space and is located in a pretty setting in the Intermountain neighborhood of West Vail - just 3 miles from the Vail Village. The home has 3 bedrooms and 2.5 bathrooms and will accommodate up to 7 people. The master bedroom is very large with its own ensuite bathroom and new flat screen TV mounted on the wall. 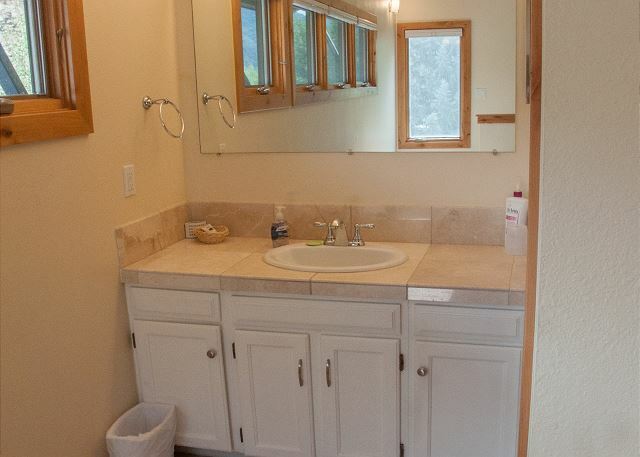 The other 2 bedrooms are downstairs and share a full bathroom. 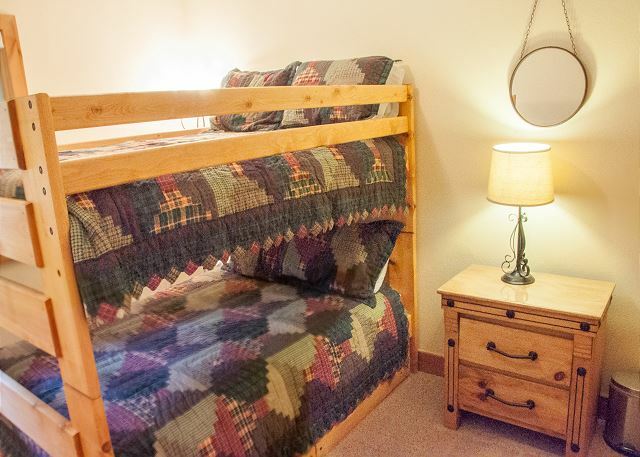 One bedroom has a double size bunk bed and a trundle that pulls out from underneath. 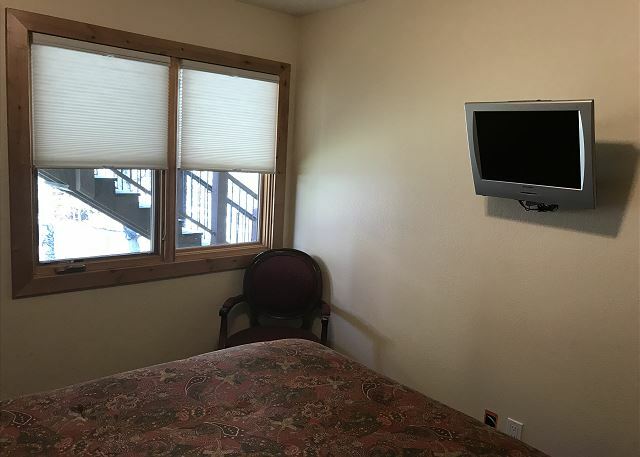 The other bedroom has a Queen bed and flat screen TV mounted on the wall. 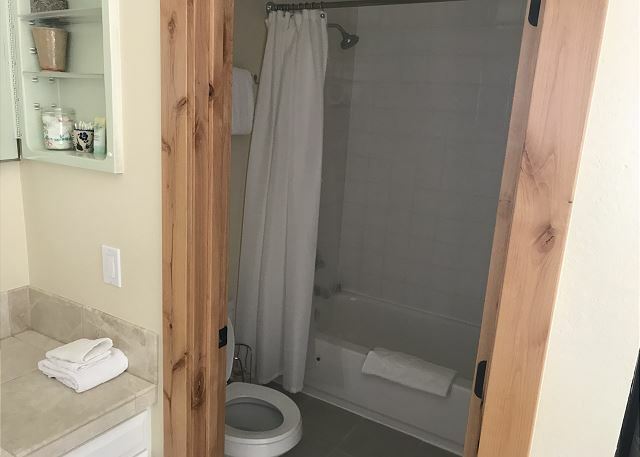 There is a beautiful new half bathroom with a pocket door on the living room level. 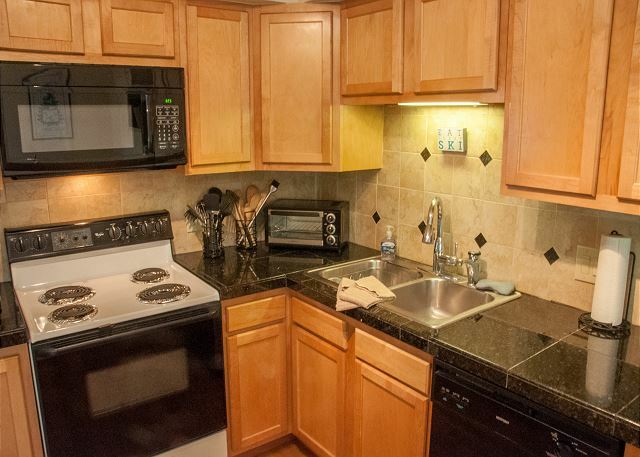 The kitchen has lots of room and is pleasantly up to date with granite tile counters and stainless appliances. 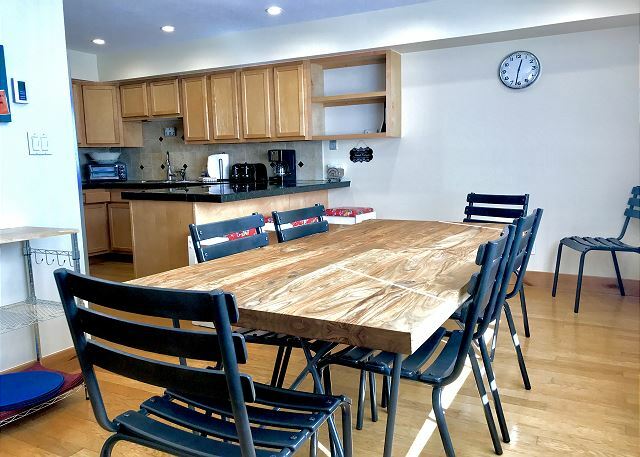 The dining area and breakfast bar is adjacent to the kitchen and there is plentiful seating for up to 9. 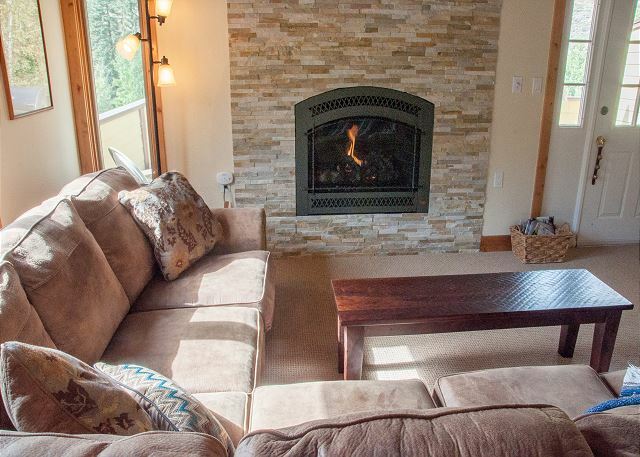 The open living room has lovely comfortable leather couches in front of a cozy gas fireplace. There is a new large flat screen TV mounted on the wall. The deck outside is a beautiful place to relax and enjoy the weather and scenery. The free ski bus stop is just outside the house. There is a car port to shelter one car and parking space for one more. This property does not allow pets and is NON SMOKING. Very friendly staff every time I called in to ask a question. Place was clean. The office helped to get the TV working per remote. My only complaint was there was too many stairs. 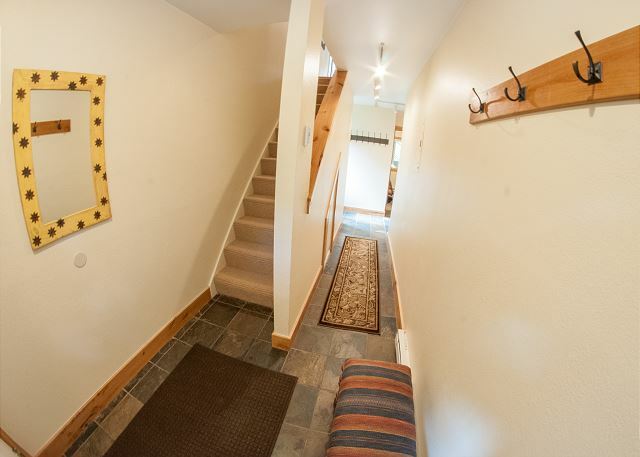 ( but I think all over Vail there are stairs). 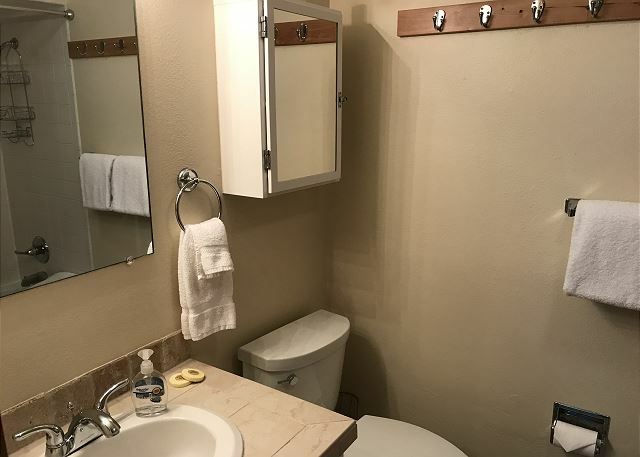 PROS: Great location, shuttle stop right out the front door, very clean and comfortable for 5 30yr old men, well furnished, includes pretty much everything you would need for a week stay! ESPN! Very few television channels in general.